Savory Thoughts: Whatever you hold in your mind on a consistent basis is exactly what you will experience in your life. ― Tony Robbins. You can learn to make this vegan cauliflower recipe with just a few ingredients. I’ve even included instructions on how to make barbecue cauliflower wings as well in the recipe notes section below. Why Does This Air Fryer Buffalo Cauliflower Bites Work? 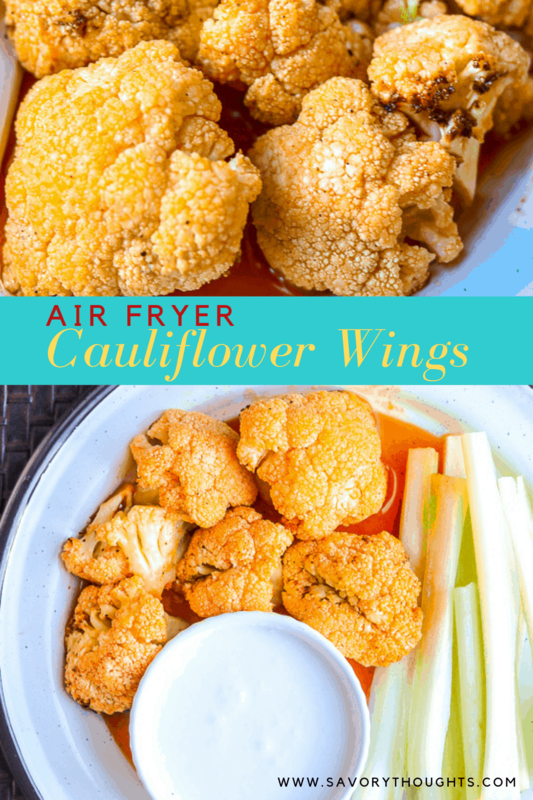 These vegan cauliflower wings are not only easy to make, but they are the perfect air fryer cauliflower appetizer you’ll want to serve to your family and friends. These little air fryer wings are so worth the time and effort as they are crispy but yet tasty. You’ll definitely not miss having chicken with these little cauliflower bites. Making buffalo cauliflower wings is really simple. The only real effort is separating the florets from the head. So, look no further when making this vegetarian cauliflower recipe, baked or air fried. They are made in under 30 minutes. They are great with ranch dressing or with Tzatziki Sauce, and even accommodate your favorite dressing. They also pairs well with other vegetables, and fried fish. These cauliflower wings are perfect to be served at any gathering. Truly, an all-year-round recipe as cauliflowers are available throughout the year. Fresh or frozen. They are air fried to perfection to provide crispy cauliflower bites. 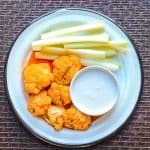 How to make Air Fryer Buffalo Cauliflower Wings – Step By Step? Cut the florets from the head. Wash and dry. Spray the florets with olive oil spray. Place the florets in the air fryer basket, set the temperature to 400 degrees, and cook for 20 minutes. Shaking and flipping periodically (picture 2). While the florets are cooking. In a small-medium pan, melt the butter then add the hot sauce and the remaining ingredients. Cook for about 2 minutes on low heat. Add the air fried cauliflower to a bowl, then coat with the homemade buffalo sauce (picture 3). Serve warm with your favorite dressing, celery, and or carrots (picture 4). Did you make these Buffalo Cauliflower Wings Recipe? Tag me on Instagram or Facebook and please give it a star rating below! SAVE THESE AIR FRYER BUFFALO CAULIFLOWER WINGS RECIPE TO YOUR PINTEREST BOARDS! Air Fryer Buffalo Cauliflower Wings are quick and easy. 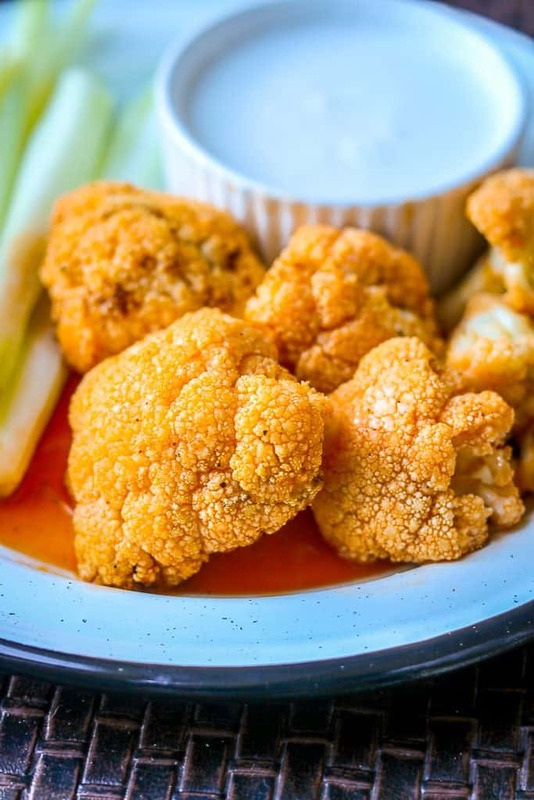 These buffalo cauliflower bites appetizer can be served throughout the year. 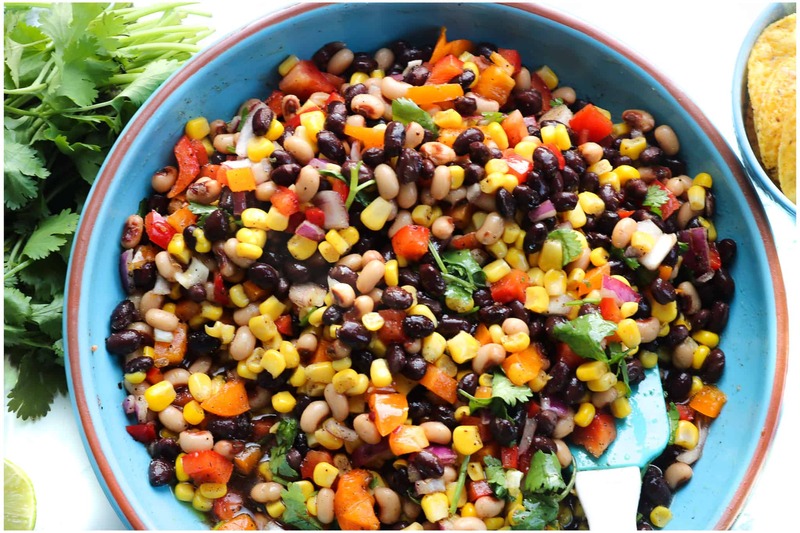 They taste wonderful and are a great way to sneak in some veggies while enjoying the flavors you love. Cauliflower wings are Keto, Gluten-Free, Paleo-friendly, Low Carb, and satisfy the Whole30 diet. Gather the ingredients. Cut the florets from the head. Wash and dry. Spray the florets with olive oil spray. Place the florets in the air fryer basket, set the temperature to 400 degrees, and cook for 20 minutes. Shaking and flipping periodically. While the florets are cooking. 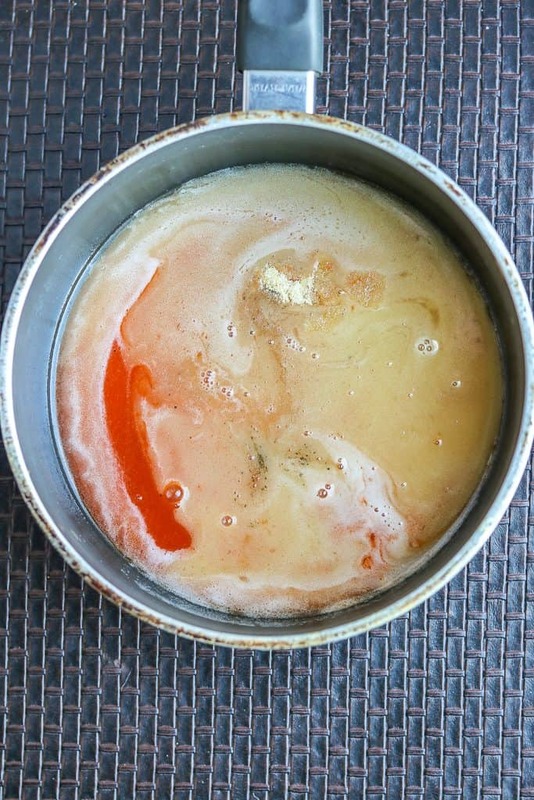 In a small-medium pan, melt the butter then add the hot sauce and the remaining ingredients. Cook for about 2 minutes on low heat. No need to bring to boil. Add the air fried cauliflower to a bowl, then coat with the homemade buffalo sauce. 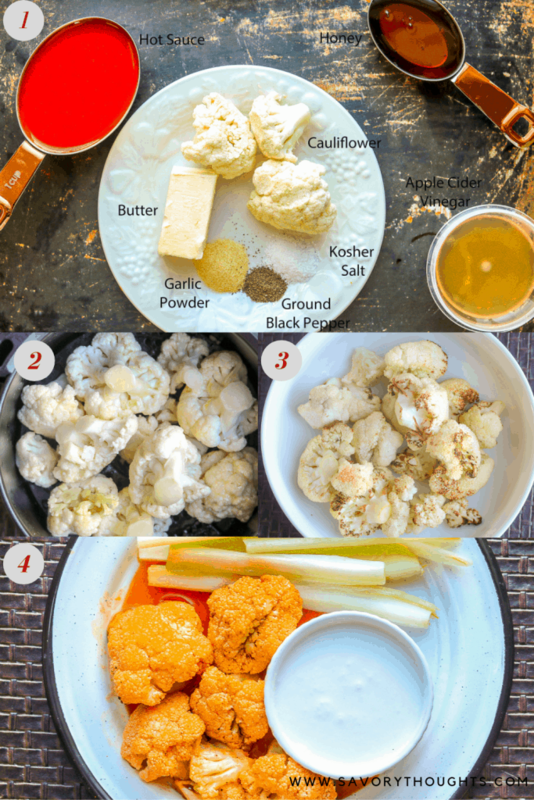 Can you use frozen cauliflower to make Air Fryer Buffalo Cauliflower Wings? Yup, you sure can! You can place them in the air fryer basket frozen or thawed. Can you reheat Cauliflower Wings? Yes, you can reheat cauliflower bites in the microwave, oven, or toaster oven. Can you make Buffalo Cauliflower Wings in the oven? Preheat the oven to 400 degrees. Yes, align the baking sheet with parchment paper. Drizzle olive oil on the florets or you may use an olive oil spray. Bake for 25-30 minutes. Then coat with the buffalo sauce. Adding 2 tbsp of molasse to the homemade buffalo sauce will give the cauliflower wings a slight barbecue flavor. 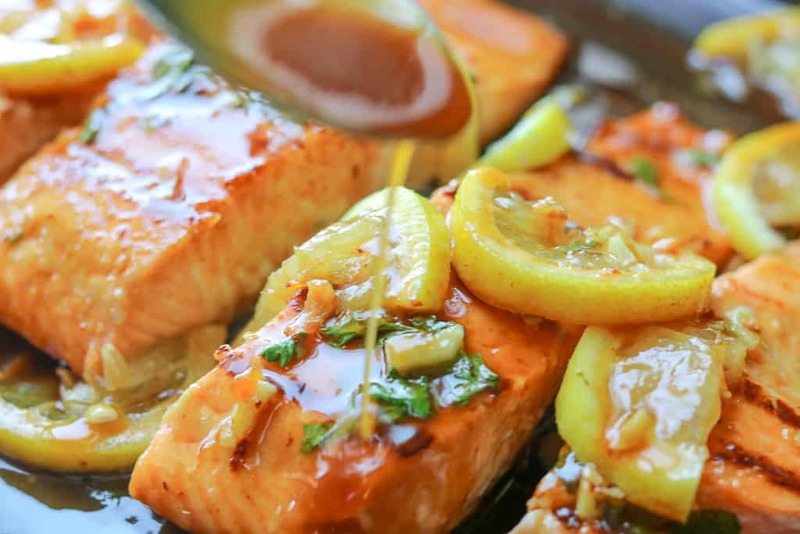 For full blown barbecue flavor, here’s a quick basic BBQ sauce recipe; 1 cup ketchup, 1/2 cup molasse, 2 tbsp Worcestershire sauce, 1 tsp garlic powder, 2 tbsp apple cider vinegar, 1/4 tsp kosher salt. I always look for cauliflower recipes because it’s one of my faves!! your recipe is so so good! The hot sauce, butter, honey combo is to die! What a treat!! Couldn’t get enough of this addicting combo! I need an air fryer stat! Holy yum! After making my cauliflower in the air fryer, I can’t cook it any other way! This looks amazing and I love that spicy sauce! What a great app or snack. I could make a meal of this alone! This was a great way to satisfy my buffalo wing craving and still feel good about my choice! Thanks for the great recipe. These sound simple and look delicious! I’ve never tried making anything in the air fryer (don’t have one), but I know my hubby would love these! Thanks so much for the oven method AND for the idea of adding molasses. I don’t have an air fryer but I was hoping you’d include that information because I really want to make these! If there is buffalo sauce I’ m in! 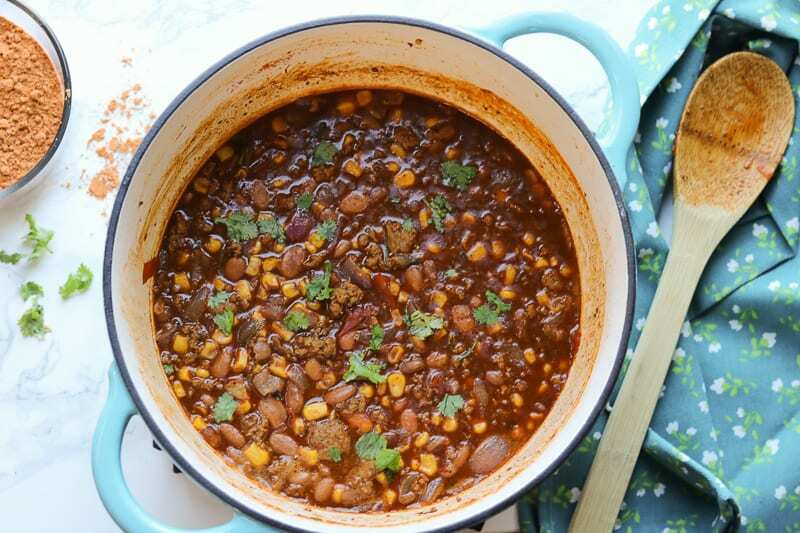 I love that these are so easy to make with only a few ingredients! I finally broke down and cleared a spot in my kitchen for my air fryer. I’m going to try these! You will love it. It is so incredibly addictive. Enjoy! I still don’t have an air fryer so made these in the oven and they came out perfectly! Loved the combination of spices along with the sweetness from the honey. Will definitely be making again! 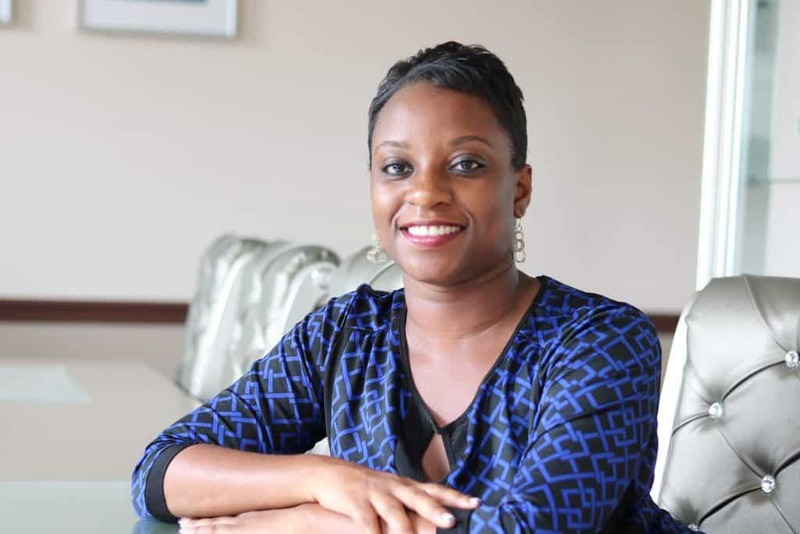 Thank you, Hope. I am glad you enjoyed it. This looks so simple and I just received an air fryer so this is perfect! Buffalo sauce is totally my kind of food!